Rent-to-Own (RTO) programs are very specialized, so it is extremely important to work with professionals who are knowledgeable and experienced in performing them. 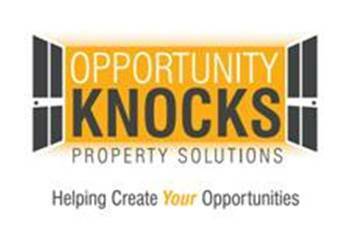 If you are someone who would like to own a home sooner than the banks are saying you can; or if you are an investor who would like to earn a great return, while helping a deserving person or family into their own home sooner, Opportunity Knocks Property Solutions can help! Our team has executed many RTO programs with success, so you are in good hands! These are all common reasons for lenders to decline a mortgage... but these reasons do not have to delay home ownership! RTO allows people to get into a home of their choice, quickly and effectively. By becoming Tenant-Buyers, they are able to pick a house in their price range that they love and move into it immediately. During a RTO term (typically 2-3 years), a portion of monthly rent payments are credited toward the purchase down payment at the end of the term; PLUS the Tenant-Buyer receives financial coaching to ensure they qualify for their own mortgage at the end of the term. The Tenant-Buyers win because they now own their own home much more quickly than they thought possible. They also have a quality credit score and are more financially intelligent than they were before starting the RTO. The Investor wins because he has realized a higher than average return; and has helped a deserving person or family become home owners, when all other hope may have been lost. OKPS locates prospective Tenant-Buyers through advertising and our network of qualified Mortgage Brokers and Real Estate Agents. Prospective Tenant-Buyers are interviewed and qualified by OKPS to ensure that, after our 2-3 RTO program they are able to reach the point where they can qualify for a traditional mortgage. Upon pre-approval, OKPS completes a financial analysis on the Tenant-Buyer, to determine the possibilities and limitations of a RTO term with us. The Tenant-Buyer then works with one of OKPS’ knowledgeable and experienced Realtors to find a home they deem desirable, within their pre-approved price range and within our RTO property criteria. When a suitable home is found, the Tenant-Buyer and Realtor work to purchase the house from the seller. OKPS team has final approval of the property’s purchase, based on criteria previously discussed with the Tenant-Buyer and Realtor. We will not enter into a bidding war for any property. OKPS contacts the Investor to educate them on the Tenant-Buyer and property that make up the RTO being put together. The Investor finances the down payment for the home while the conditions are cleared for purchase. The Tenant-Buyer pays a non-refundable purchase option (down payment) and sign rental contracts with OKPS before moving into the home. Throughout the term, OKPS collects monthly rent from the Tenant-Buyers with a portion going toward their down payment at the end of the RTO term. Tenant-Buyers receive financial coaching from OKPS team throughout the term to ensure they are on track to qualify for their own mortgage at the end of it, when they will officially purchase the house from us/Investor. At the conclusion of the term, the Tenant-Buyer has saved up enough down payment through rent credits and has qualified for a mortgage. They purchase the home at a price agreed upon at the start of the term. They are now home owners and it’s time to celebrate!